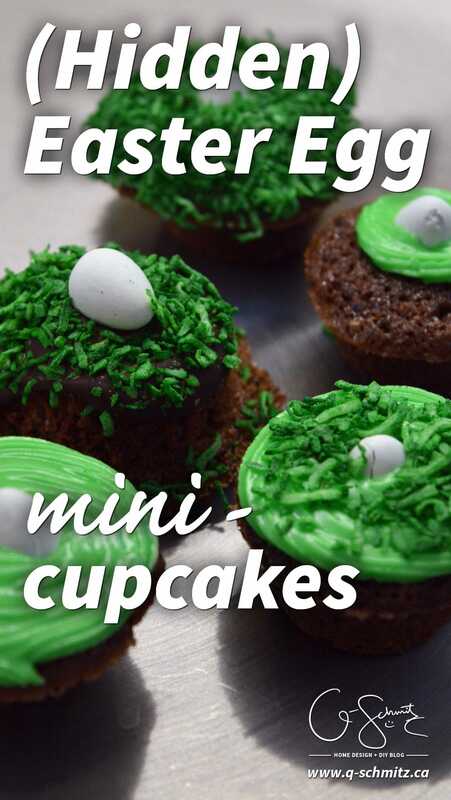 These hidden Easter egg mini cupcakes are super cute, but you could totally use this technique for other seasons or holidays! 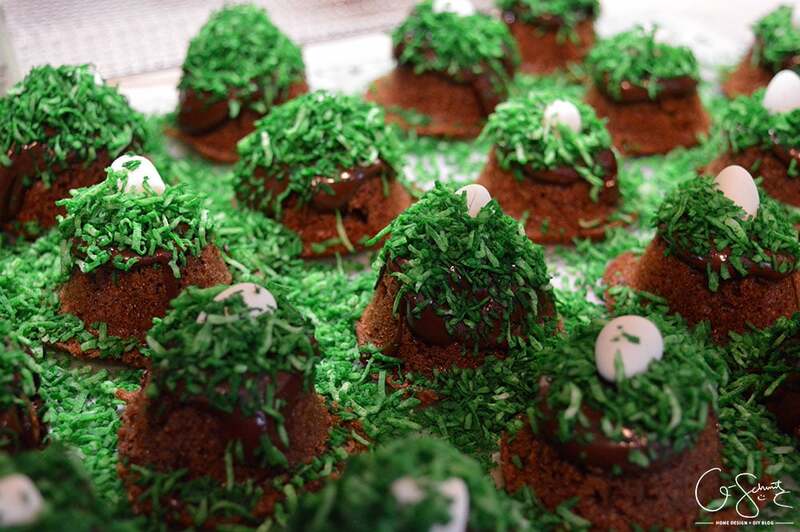 I came up with a cute idea for some Easter themed desserts. This year Easter is extra early (at the end of March!) so I knew I had to share these quickly to get in before the season gets crazy (bloggers have to be extra early on our holidays too apparently!). 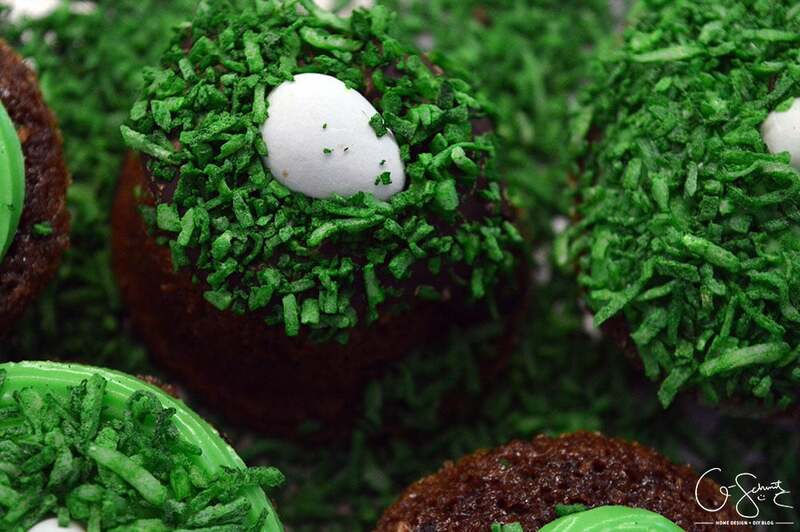 Now, my original idea for the hidden Easter egg mini cupcakes didn’t turn out as I had hoped (you could call them a “fail” actually) BUT I did manage to salvage them and they still taste delicious! 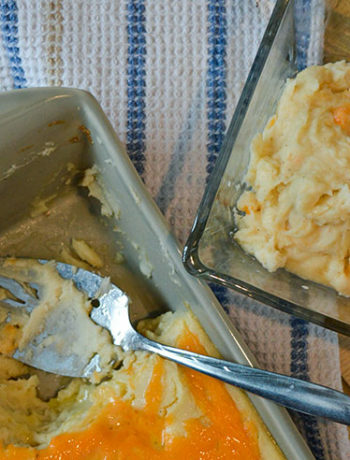 First things first, I whipped up a batch of cake batter using this recipe. I omitted the sprinkles and added some cocoa powder instead to make them chocolate-y. (I don’t know how much, I just dumped it in and stirred!). 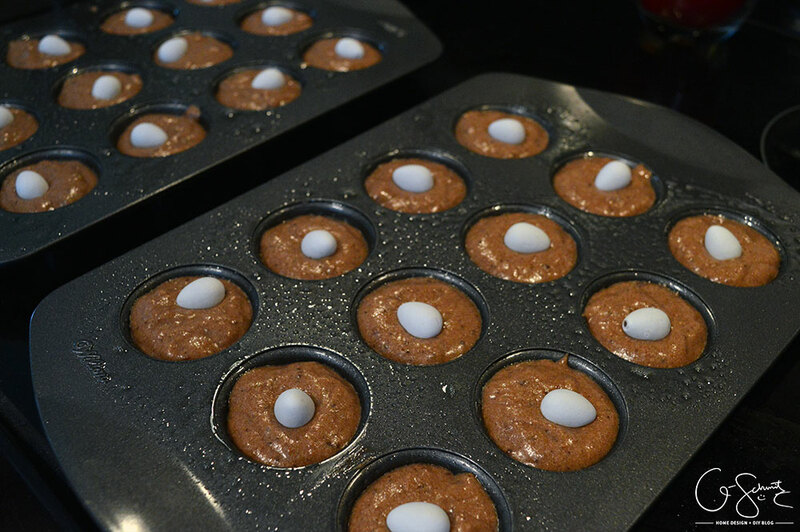 Now, the plan was to place a mini egg on the batter and they would cook and stay on top. Haha. This did not work at all! I guess the mini eggs were too heavy for the batter and ended up falling to the bottom of the pan while they were cooking. They were barely still in the cupcakes, so I had to place them on the tray upside down while they cooled. Good thing I only have two mini muffin pans, because I had a bunch of batter leftover to try again. 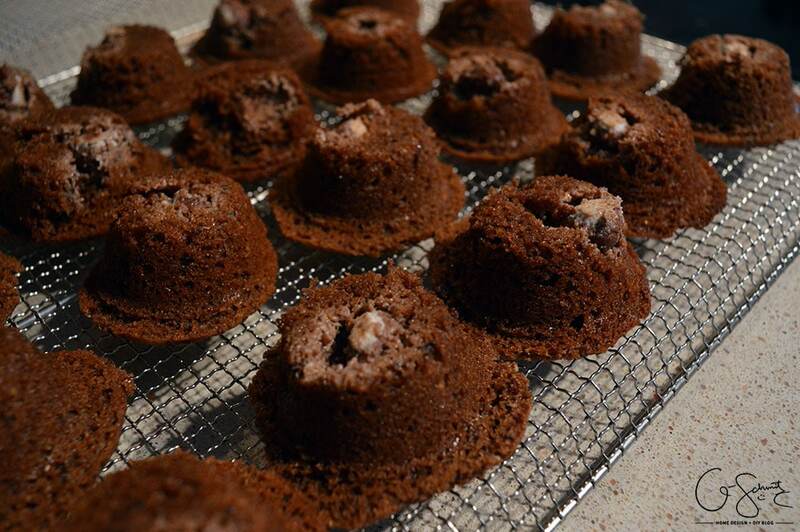 This time, I baked them as normal – then shoved the mini egg into the top of the mini cupcake as soon as I took them out of the oven (as they were still a bit squishy). 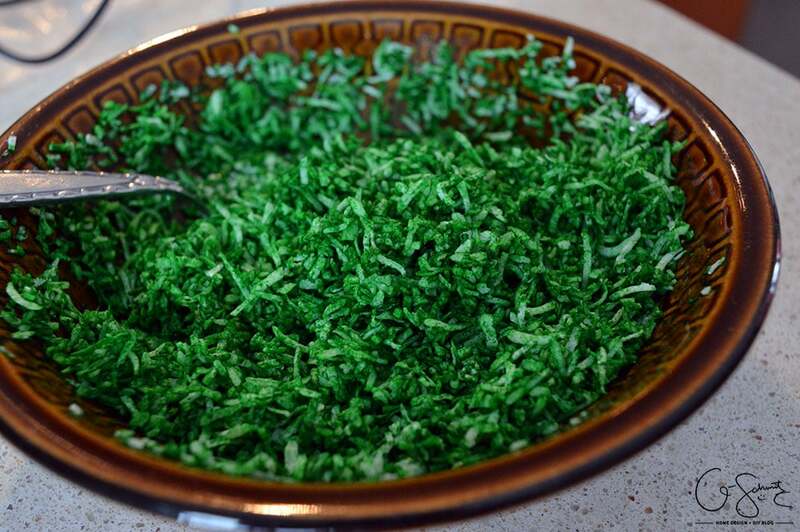 While the cupcakes were cooling, I added some green food colouring to plain shredded coconut and stirred until it was well dyed. Sprinkles could also work, but I didn’t have any green ones and didn’t want to buy any ingredients that I didn’t need. For the “fail” batch, I had to come up with a way to make sure the eggs wouldn’t fall out when you ate them. 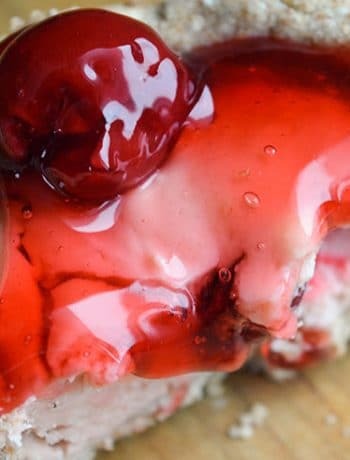 I’m not about to throw out perfectly delicious desserts just because they don’t look pretty! 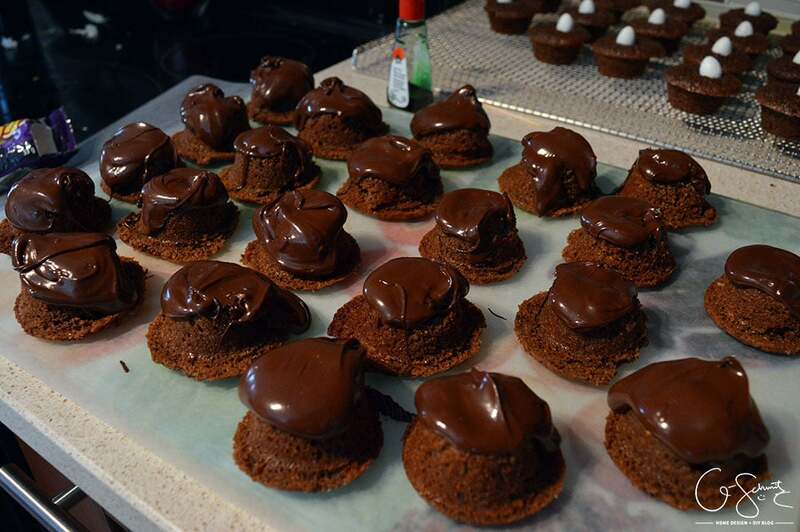 I heated up some chocolate on a double boiler, and quickly spread the melted goodness on top of the cupcakes. Since I had some extra mini eggs, I figured I could add another egg on top of these too! Then I sprinkled the green shredded coconut all over the melted chocolate and let everything set before I moved them. 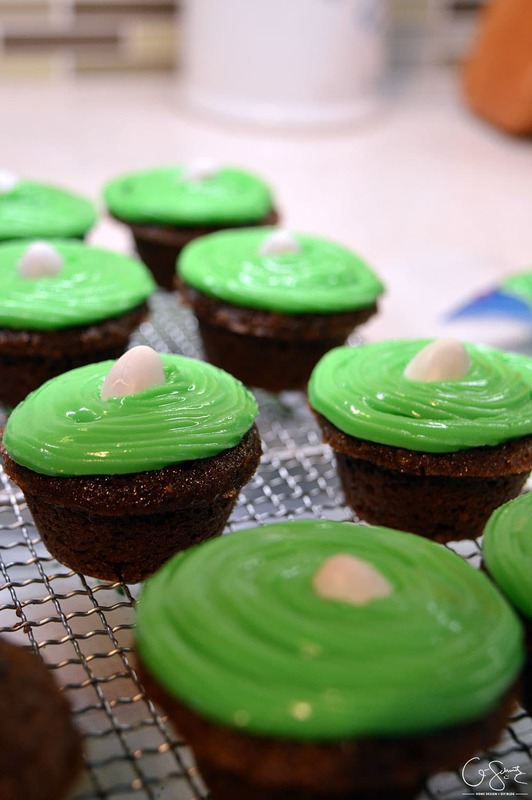 For the “normal” cupcakes, I made some green icing and added it to the tops, surrounding the egg. 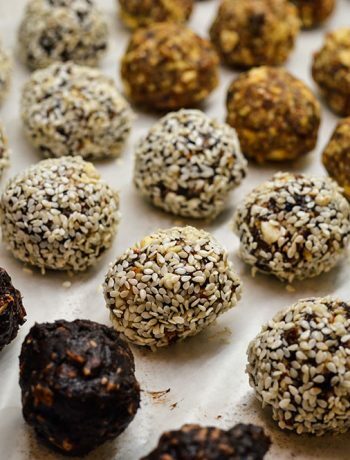 On some I added shredded coconut, or even dipped them directly into the coconut to cover the tops completely. 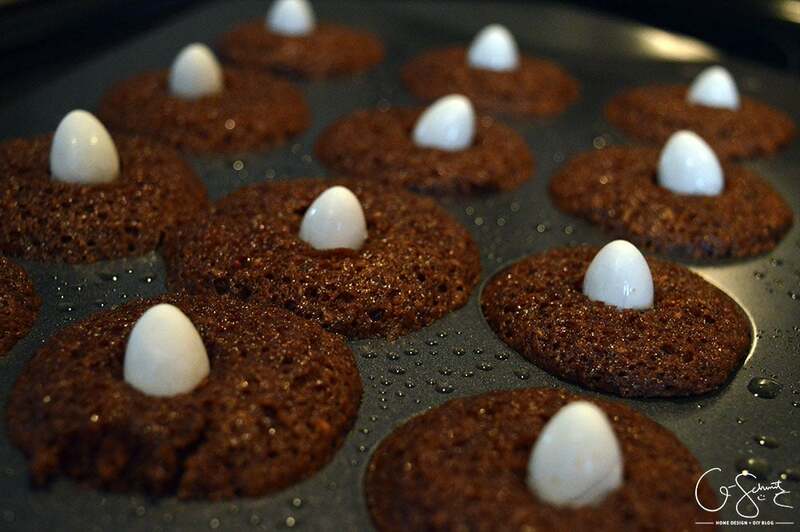 You could always add a cluster of eggs if you wanted, but since these were mini cupcakes I didn’t want to crowd them too much. 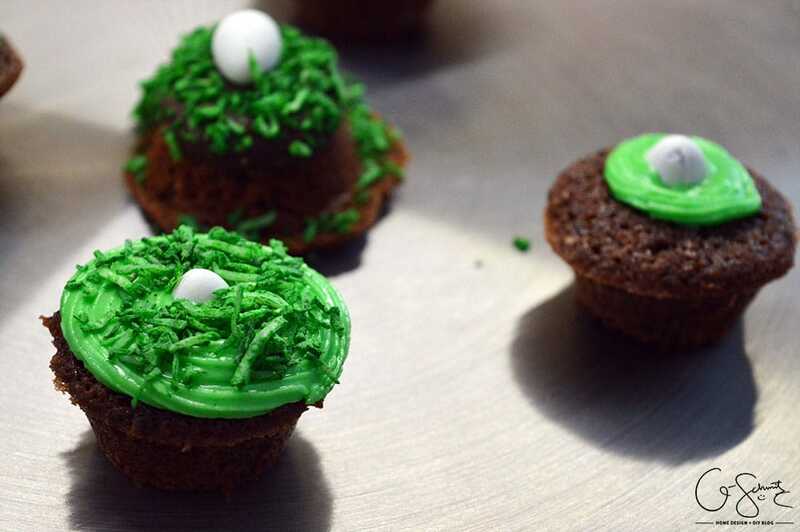 These hidden Easter egg mini cupcakes are super cute, but you could totally use this technique for other seasons or holidays! Because they are green, you can pretend they are for St-Patrick’s day, and you could also say they are little footballs and bring them to sports-themed parties. Can I let you in on a secret? I am obsessed with mini eggs. No seriously! They are probably one of my favourite chocolate treats; and every year I have to buy them. I usually get the “knock-off” brand from Bulk Barn… and I buy A LOT! Last year, the cashier had to ask me if I wanted that much because the price was pretty high and she didn’t want to surprise me with the amount. Yes. I need all of these. I need them. At least I got a little fix making these cupcakes and I had to force myself not to eat them all (okay, I did eat some…)! Do you love mini eggs as much as I do? If not, what is your go-to “seasonal” candy/chocolate… aka the one thing you wait all year to stock up on, because they only carry at a certain time? how come there where no mini eggs in the ones you left with us last week?? Ummm… maybe someone ate them? I did use mini-marshmallows for a few, so you might have gotten those!